I don’t know about you but I can sometimes be a bit of a “germaphobe”. I don’t mean to be, but I am constantly using hand sanitizer. I have a bottle in my car door and I have a bottle in my purse. If I am ever doing anything anywhere with my hands, you can bet my hand sanitizer is about to be used! I don’t actually buy my hand sanitizer anymore, I make my own. 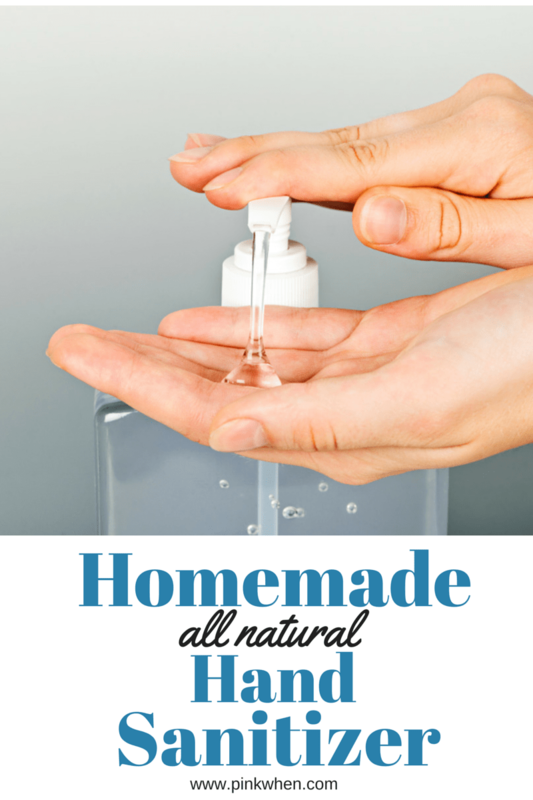 Today I am going to share with you how to make your own DIY Homemade Hand Sanitizer. You may have noticed I like to use a lot of my essential oils for different things. From making sweet dreams, to cleaning the house, I use them every day. You can find other ways to use essential oils by clicking here. 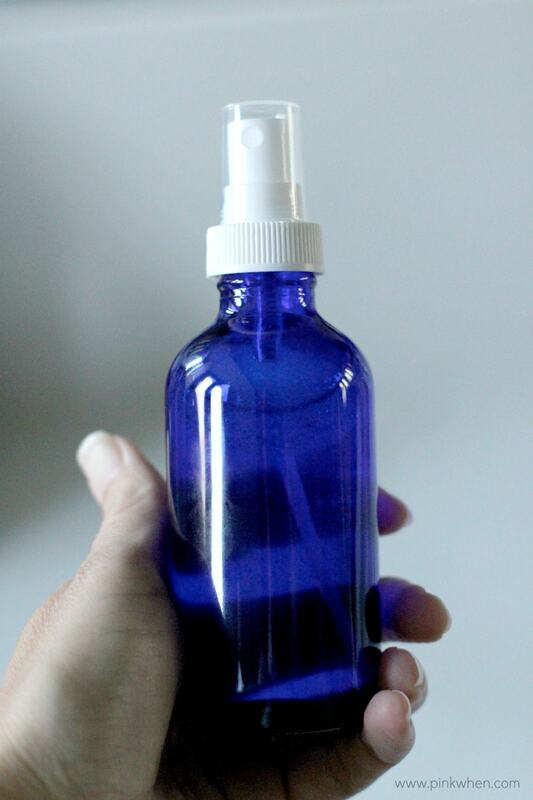 I use a glass spray bottle because the essential oils can have effects on the plastic and break it down over time. Glass is the way to go! 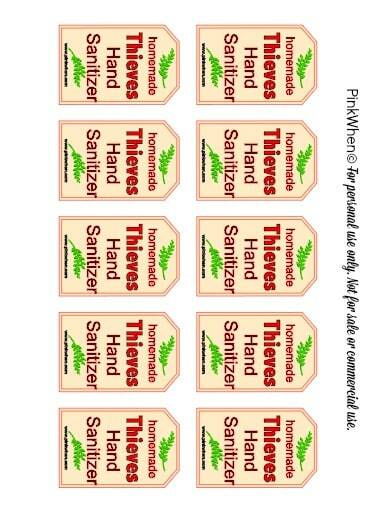 These hand sanitizers are also small and perfect to make for traveling or even as teacher’s gifts. Fill the glass bottle about halfway with water. 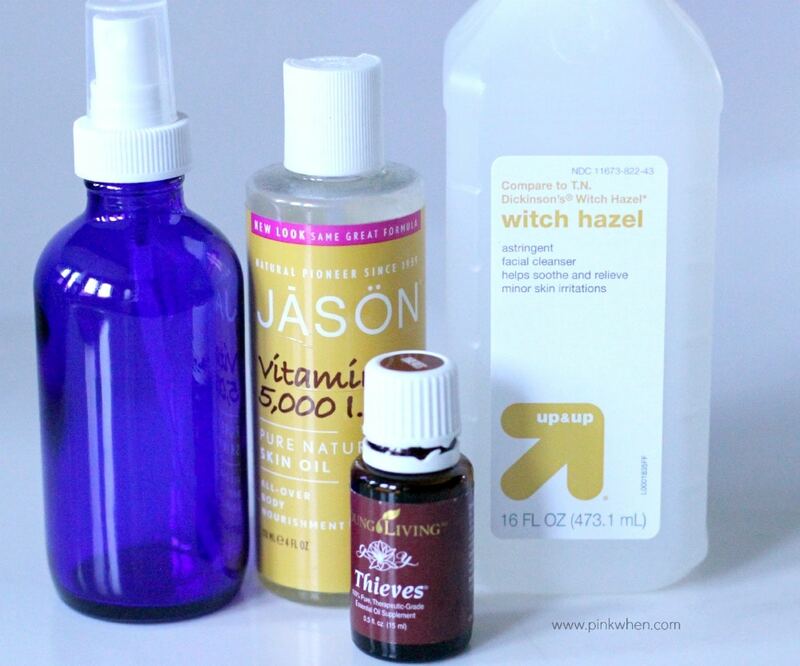 Add the Vitamin E oil, Thieves essential oil, and then top the bottle off with witch hazel. 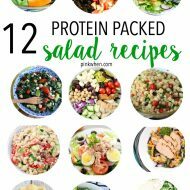 They are super quick to make and so easy to use. I love the Vitamin E oil in mine so it doesn’t dry out your hands like some alcohol based hand sanitizers can. When I make these I like to make several at a time. I seriously go through hand sanitizer like it is going out of style! In my opinion, you can never have enough on hand. I even made a printable label. Just print these out on sticker paper and then cut them out to fit your bottles. You can download the printable by clicking here. Use it while at the grocery store, after paying for anything, when filling up my gas tank, and when going in and out of the school with the kids. I even have my kiddos trained to use hand sanitizers when hand washing isn’t available. It’s just another way to help fight all of those nasty germs that are everywhere we go. We love our DIY Homemade Hand Sanitizer. Are you interested in learning more about essential oils? You can find more information on Young Living Essential Oils here. I would love to make this. 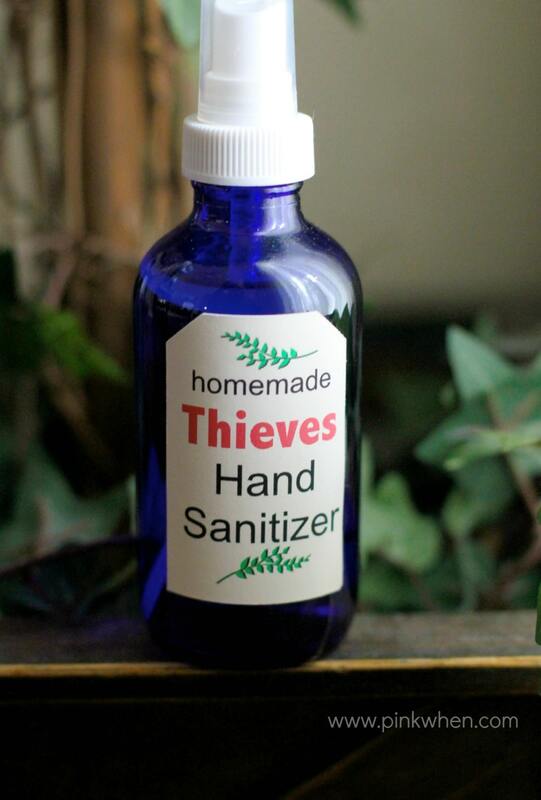 I have a big new bottle of Thieves and I intend to use it. Best smell ever. Wow! This is awesome! I had no idea you could make hand sanitizer yourself! 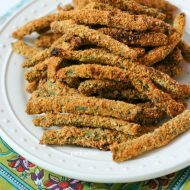 This would smell so much better than the store bought kind! I’m going to have to give it a try! I am always looking for natural alternatives to use in our home. I love this idea. Thanks for sharing! Pinning! Love this idea! 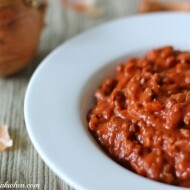 I’ll have to make this SOON, we’ve been getting sick a lot lately! Pinned! This is awesome. I love making my own homemade laundry and dishwasher soap. I’ll be making my own hand sanitizer from now own as well! 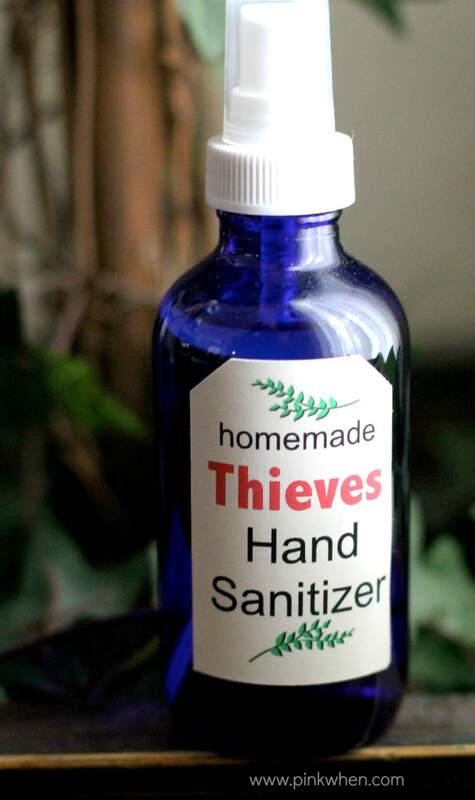 Sounds fantastic however if not in the US where can I buy Thieves essential oil?